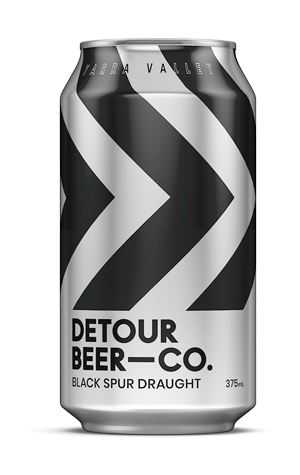 Given their location on many a Yarra Valley tour and the broad cross-section of people enticed through the Taphouse doors by the Napoleone family's multi-faceted offering, you can understand the desire of the brewers at Detour to create something not a million miles from the beers still consumed by the majority of Australian drinkers. The result is Black Spur Draught, named after the famous drive into the hills beyond the Yarra Valley. It's a lager fermented at a slightly higher temperature than typical to entice some esters from the yeasty beasties, while the use of 10 percent rye malt in the grist adds a little colour, body and touch of spiciness to the mix, but not so much that it would put off any visitors after nothing more than a beer.